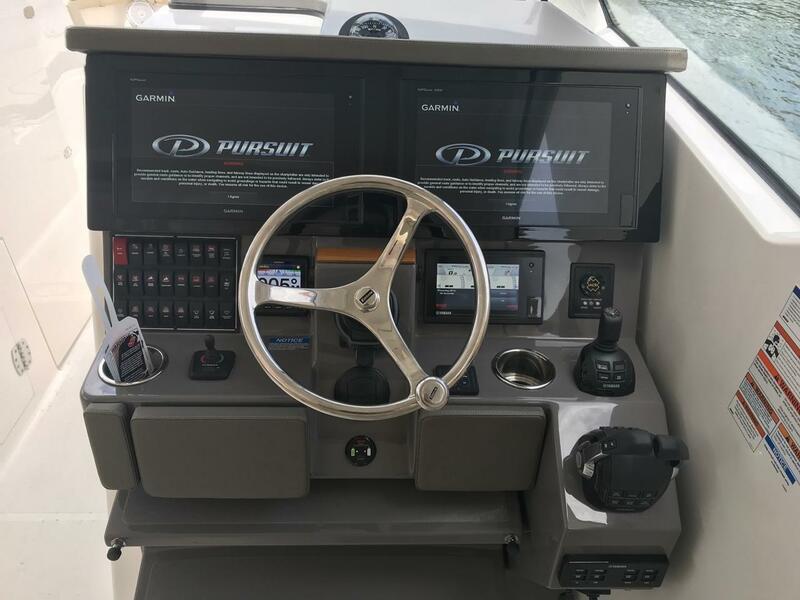 The stylish Dual Console line that has been perfected by pursuit is expanding to include the DC 365. 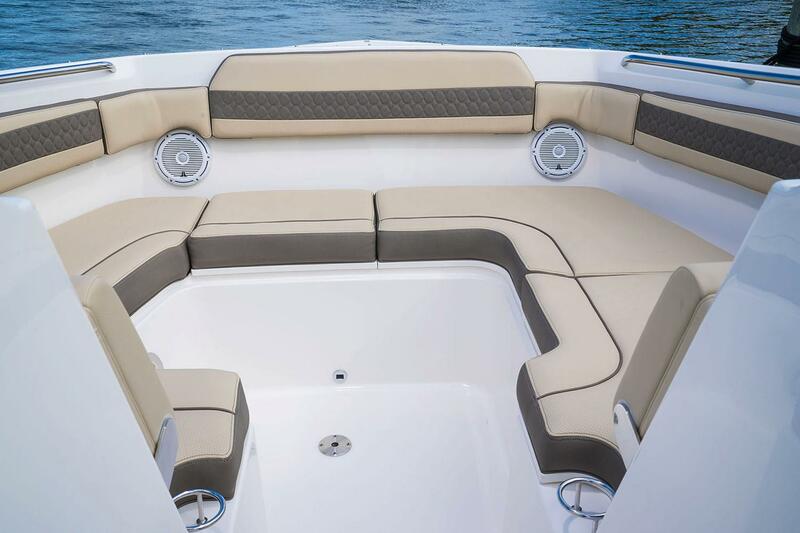 More comfort, innovation and features have been engineered to bring your sport utility experience to the next level. 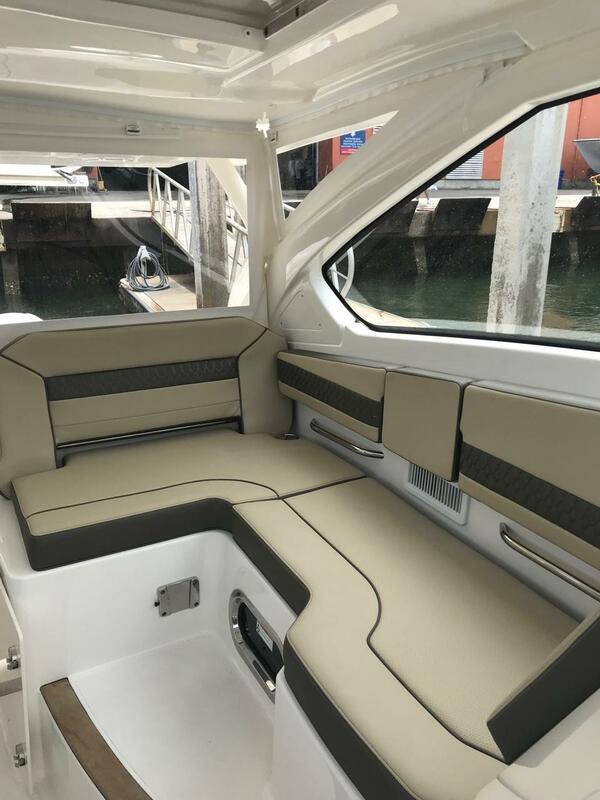 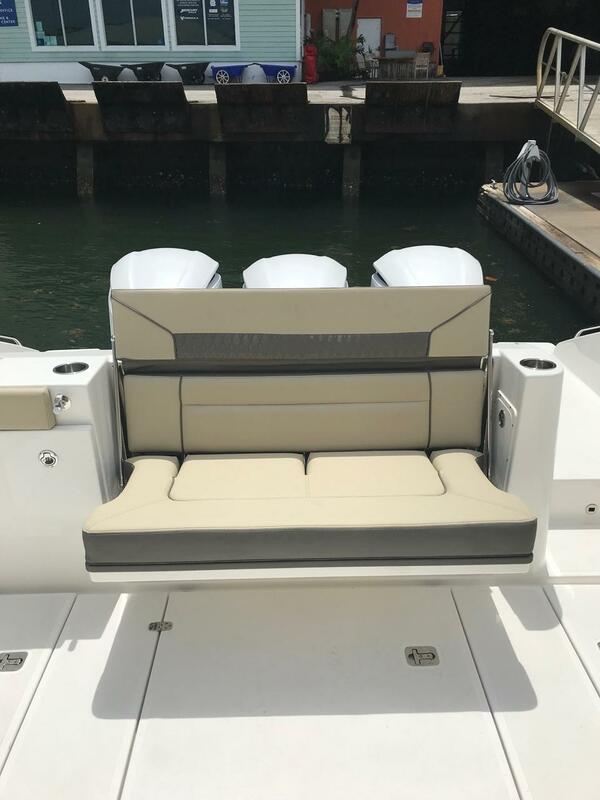 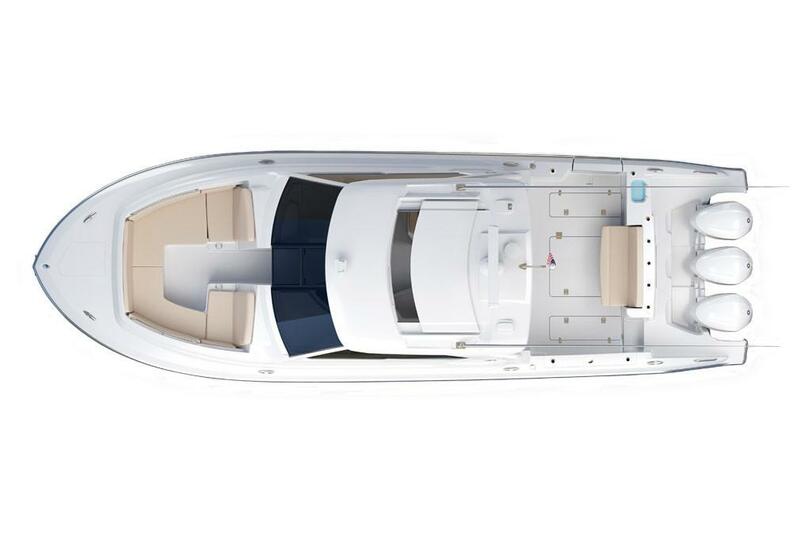 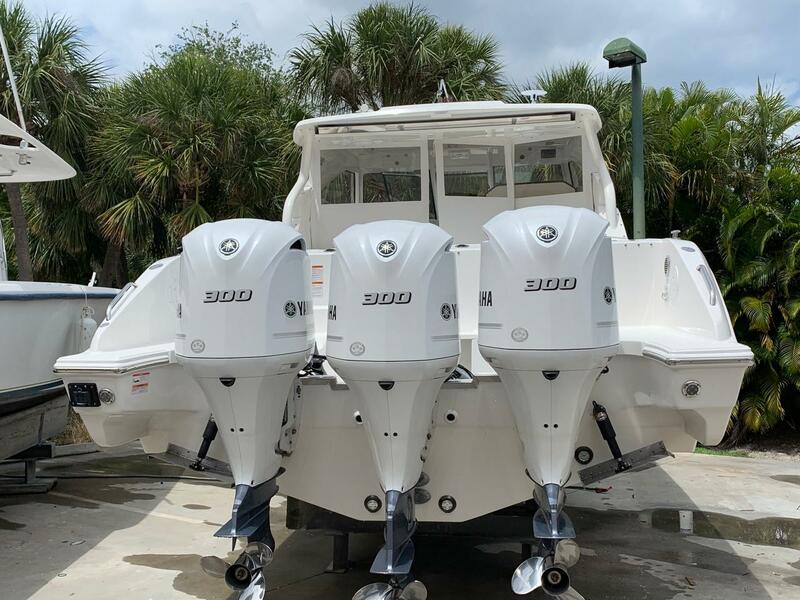 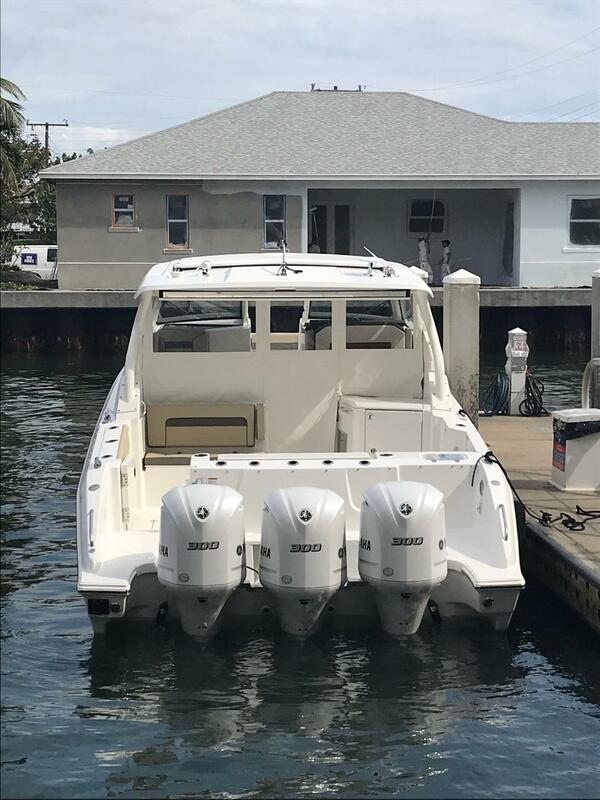 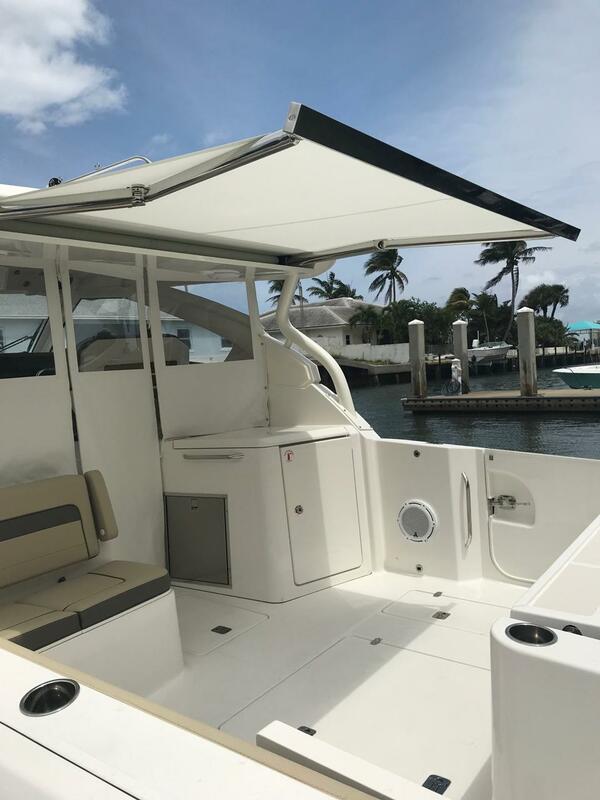 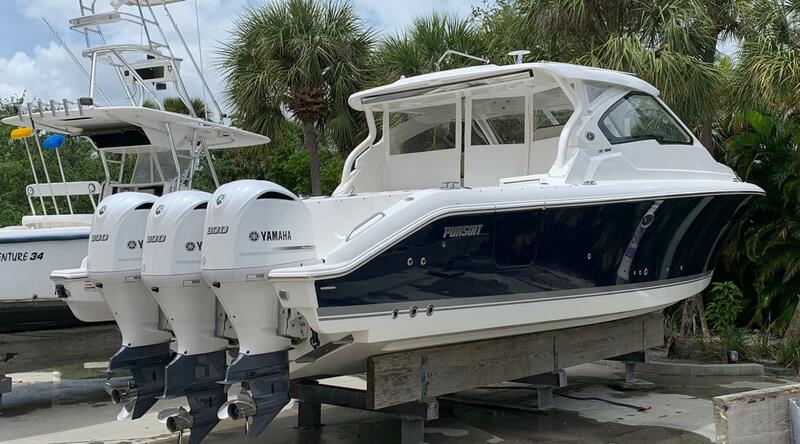 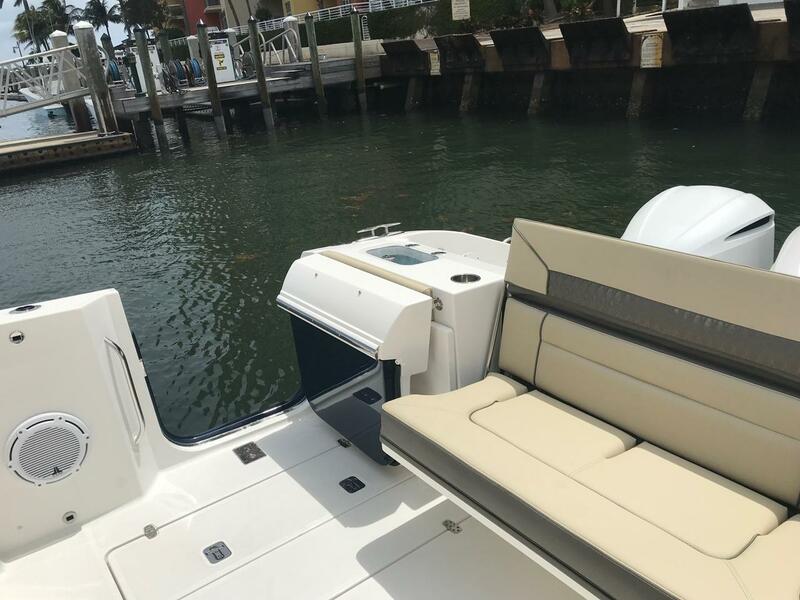 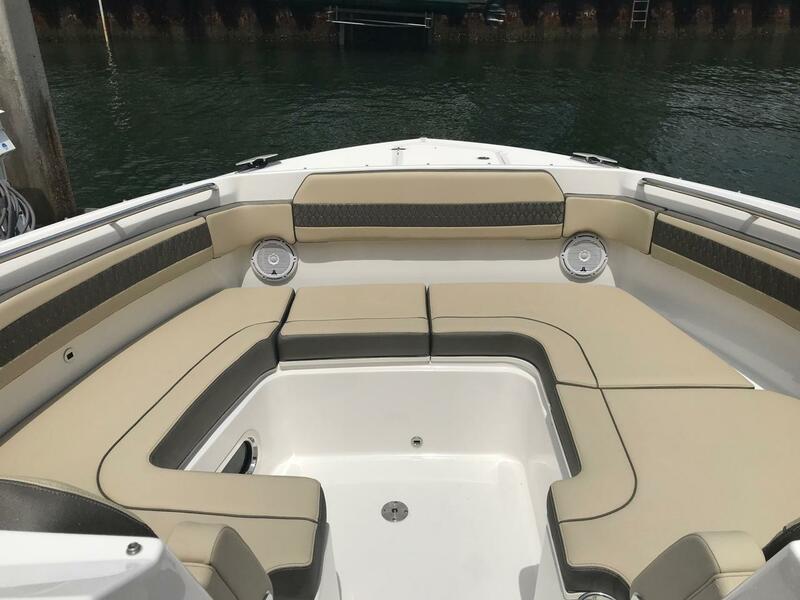 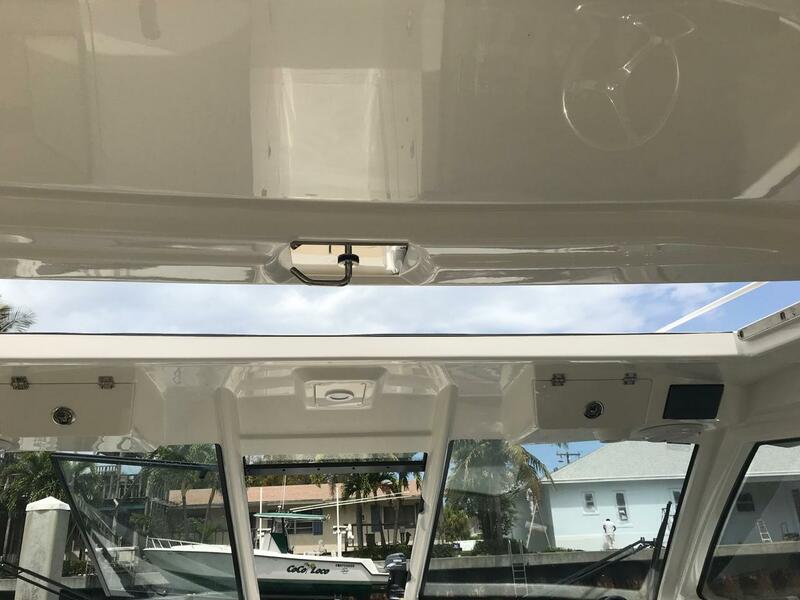 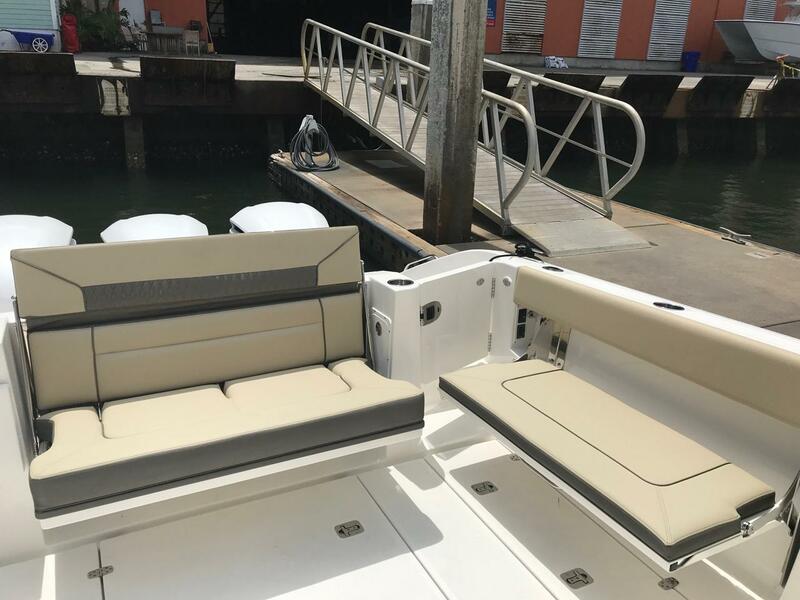 Forward bow and port side lounge seating, a swivel seat at the helm and patent-pending fold away seating at the transom and under the gunwale give your crew a comfortable place to enjoy whatever type of water activities you choose. 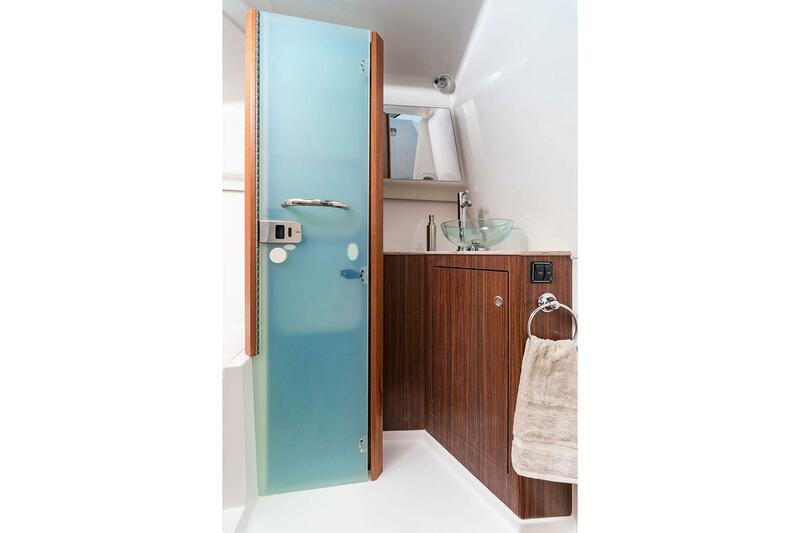 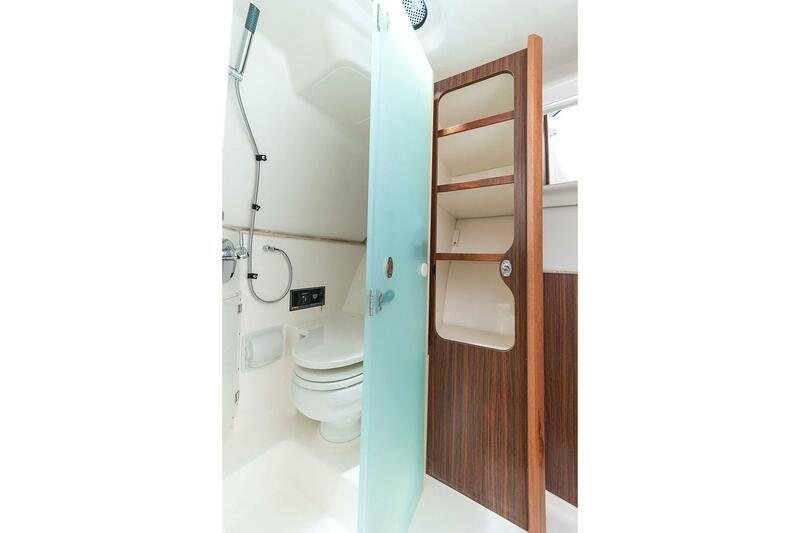 The cabin is easily accessible with a fiberglass door and features solid wood accents with modern finishes, a full berth forward and a comfortable aft berth. 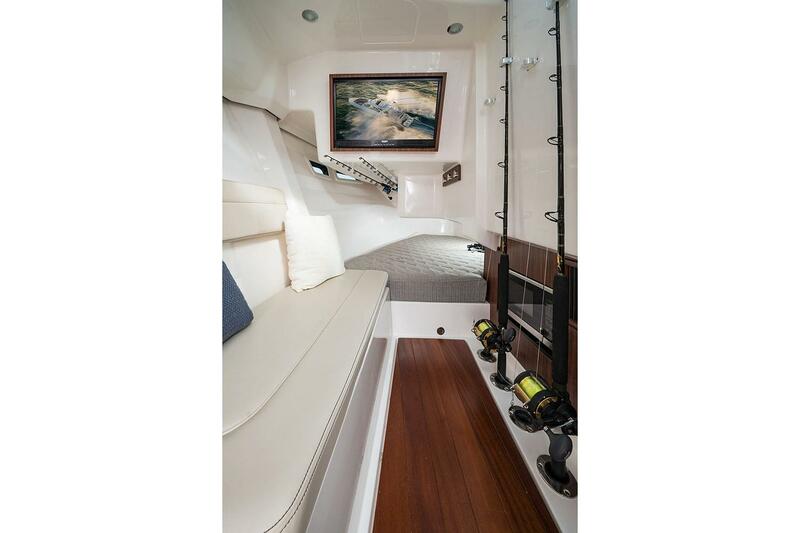 A small family or couple may overnight with basic amenities for the weekend. 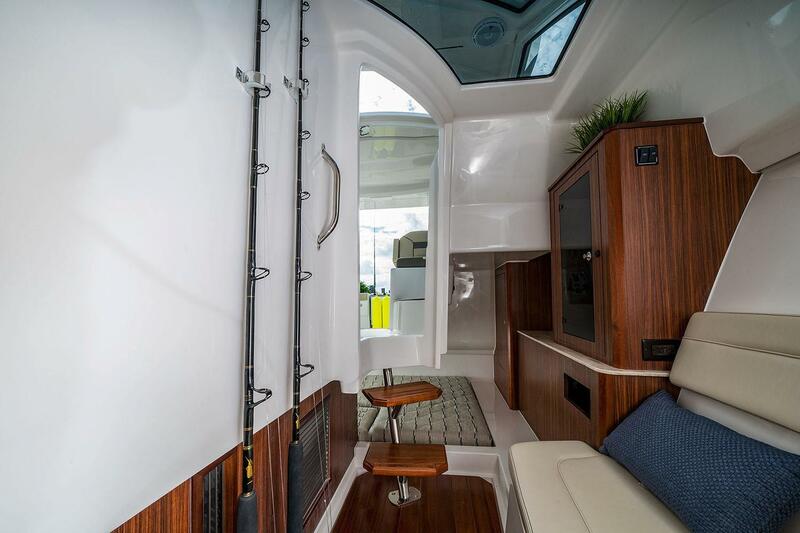 Hull side windows reveal plenty of natural light below. 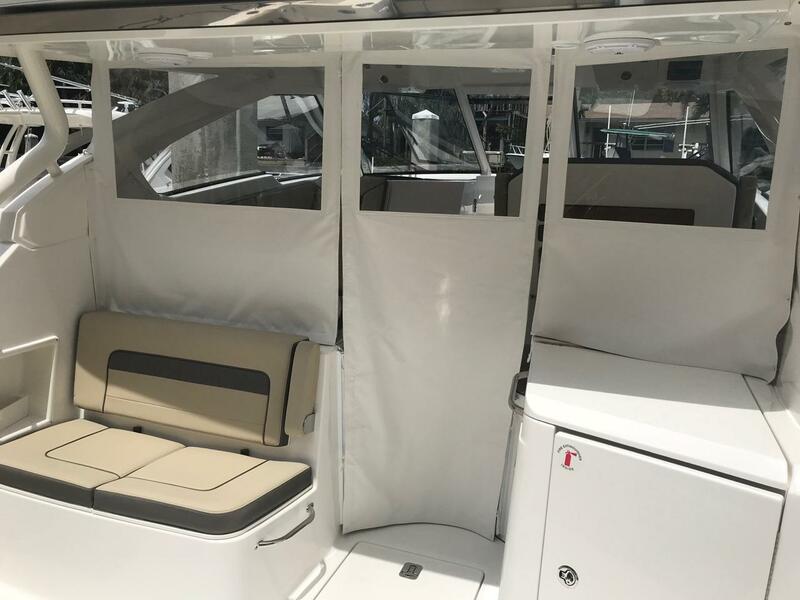 Foldaway seating quickly transforms a social venue to a wide-open, fish-ready cockpit with hull side door, livewell, gunwale mounted rod holders and insulated fish-boxes in the floor.